Membership of Littlehampton Swimming Club is open to all swimmers who are successful at a trial session. Trial Sessions take place on a regular basis at Littlehampton Wave pool. The trial will allow our coaches to fully assess your level and provide feedback. We normally will first ask you to swim 25-50m of each stroke and may depending on age and ability undertake some further timed swims. As long as you can swim 50m (2 lengths) confidently in Freestyle and Backstroke we would love to see you – just bring your goggles and swimwear! During the trial is also a great opportunity for swimmers and parents to talk to others in the club and observe our training sessions which are normally in progress at the same time. We welcome Disability swimmers as long as they also meet the standards above and are experienced in supporting you through the swimming classification process. 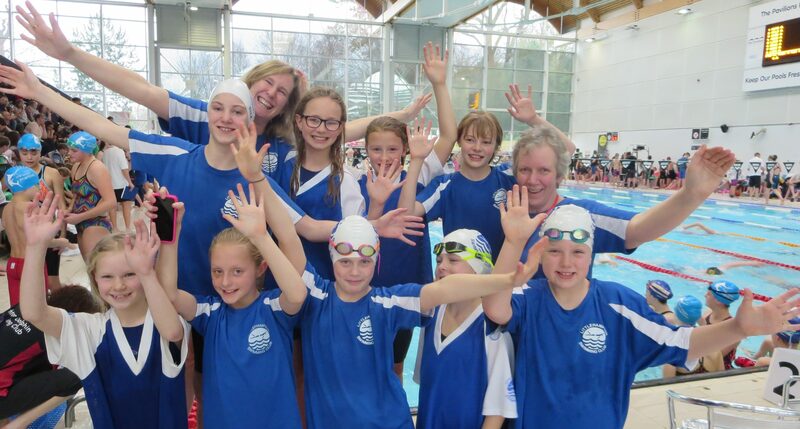 You may also be interested in other local clubs such as Dolphins (for those swimmers who need in water support) and Sussex Squids – just contact us for more details. Following the trial it may be suggested you should continue with swimming lessons until your stamina and technique has been further developed or you may be invited to join one of our squads. Which squad you join is the decision of the coaching team. At times we may operate a waiting list but will always endeavour to offer you a place as soon as possible. To arrange for a trial session or to find out more about joining Littlehampton Swimming Club please contact our Membership Secretary. It is useful to let us know your name, your child’s name, date of birth and level of swimming experience along with a contact telephone number. Category 1 Swimmers may enter club internal events such as our Annual Club Championships and one-off inter-club friendly galas. All main club swimmers who are under 9 years of age are registered in this category. Category 2 Swimmers are able to compete in all levels and types of event. We normally work with you to upgrade to Level 2 registration form when you compete at your first Open Meet when aged 9 years of age or over.